An Autogeek Favorite! This pre-wax cleaner and polish is a German blend of quality ingredients that will make wax application as smooth as silk! Effective for Removing Spotting. This thick, rich cream is a brilliant choice for removing water and acid rain spotting, swirl marks, and minor surface imperfections. The formula is gentle enough to warrant a scratch-free surface after use, but powerful enough to remove old wax and prepare your vehicle for fresh wax. Removes Embedded Debris. Road film, rainwater deposits, and embedded pollution will make your finish bumpy, when it should be sleek and smooth. Determining the presence of these elements is quite easy. Wash and dry your vehicle, then gently run your fingertips over the paintwork. If the surface isn’t smooth, it is necessary to cleanse and remove the toxins. This cleanser will lift and remove embedded debris, cleaning deeply within each microscopic crevice. Water spots, swirl marks and other contaminants disappear. The vehicle is ready to display the perfect concours-look wax finish. 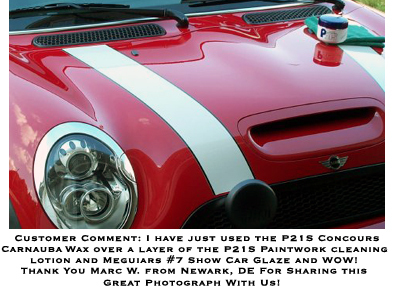 After this deep clean, we recommend following with P21S Carnauba Wax. 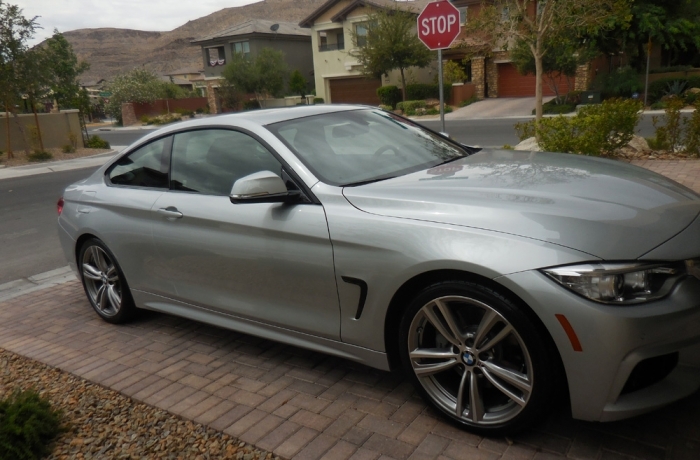 I have a silver 2014 BMW 435i. As soon as I brought the car home I washed it with the P21s shampoo and waxed it with the P21s pure carnauba wax. I skipped the GEPC to save time. I'm not a fanatic with a million products and tools but I definitely have more cleaners and cloths than 95% of the folks out there. Anyhow, the car still looked beautiful. On a daily/weekly basis I use speed shine and other quick detailers to keep her clean. Here 3 months later I came back from a road trip and decided it was time for another detail session. This time I used the GEPC before the wax and I can see the difference. It was easy to apply and remove and you could see it removing minor imperfections such as one area I had been too aggressive with the clay. The wax job definitely appears wetter and just more uniformly glossy. I'll be keeping it in the regimen here on out. ProsEasy to use. Enhances gloss. Removes imperfections. ConsWithout a power buffer it takes some effort to remove. Maybe twice as easy as wax to come off. I used product as directed and finished with KLASSE SEALANT. Came out smooth, glassy. I always use KLASSE which is a great product but the P21S really brought up both gloss and smoothness. I did not have to use much product either. Outstanding product and will do a repeat order. I used a white pad on my P/C . The black paint on my Flex was brought to a deep glossy shine. Little effort to wipe off. ProsEasy to use. I watched the videos. Exceptional depth and shine. Used this on our '17 Rogue after using Griot's synthetic clay. Did a great job, no powder residue, etc. Almost effortless, followed it with the P21S carnauba car wax. Excellent results on both products. 2nd layer 2 days later, looked & felt even better! Kinda makes me want to get out there & add another layer. I am 68 years old & I didn't even feel tired after the cleanser & wax! I highly recommend this P21S line. I also used some S100 detail & wax on trim. This actually cleaned it!